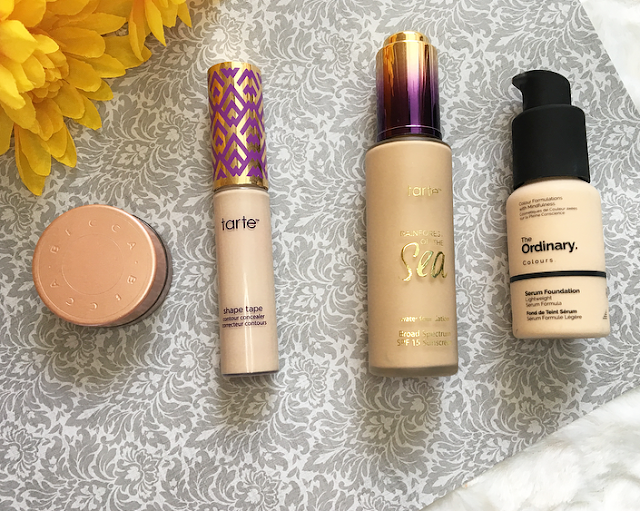 I bought this several months ago expecting to love the light, water-based formula and medium coverage...but something about it doesn't suit my dry skin. The finish of this is more on the matte side, and I don't like it as much as my glowy products. However, if you have oily skin you may like this! But don't expect to buy it expecting a hydrating formula. I will finish up this bottle but will be buying a cheaper product that I like more. This one has a more watery formula, but a similar amount of coverage and it feels much nicer on the skin! I'll be doing a full review of it along with the Coverage foundation. Another big plus for me is the packaging--I'd choose a pump over a weird pipette applicator any day! I've had this for a while, and though I use it everyday I notice that it just...doesn't do much? 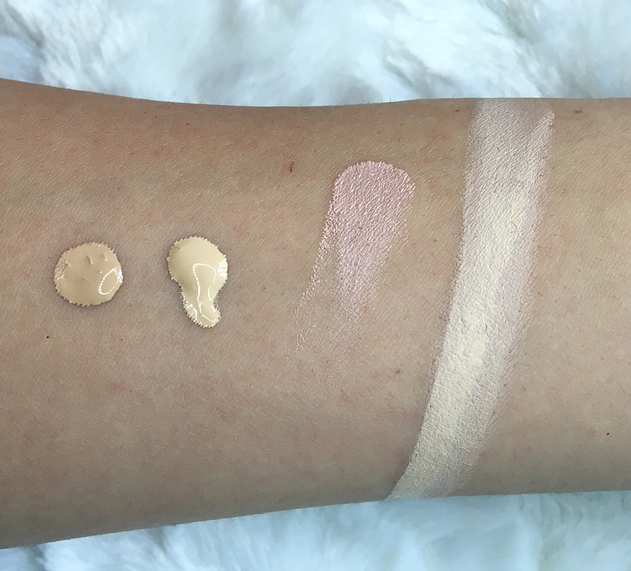 If worn alone it gives a small amount of coverage/correction, but worn under a concealer I feel like it doesn't help boost the effects of the concealer. If you really want something to cancel out dark circles, I prefer a full coverage concealer over a corrector! The Tarte Shape Tape has so much pigment to it and can cover up just about anything. A little goes a long way, too. If you are in an absolute eyeliner emergency and need something that works really well the first few times you use it, this cheap Essence one works well. However, it starts to dry up quickly and isn't as black as it first is. Granted, even if you repurchased this product once a month you would hardly be breaking the bank, but personally I want to get a lot of use out of something once I buy it. This liner isn't too much more than the Essence one, and it lasts a lot longer and is easier to use! This has a pointed brush tip (like the Kat von D Tattoo Liner) rather than a felt tip so I think that it glides a lot easier across the lid and dispenses more product. My issues with this product are more to do with the shade than the formula, though there are things I don't like about the formula, too. This has a very strong pink tone to it which would only suit pale, cool-toned skintones. I am pale and warm-toned so this looks like a stripe of shimmery pink on my face. You also have to work quickly with it because it dries so fast on the skin. 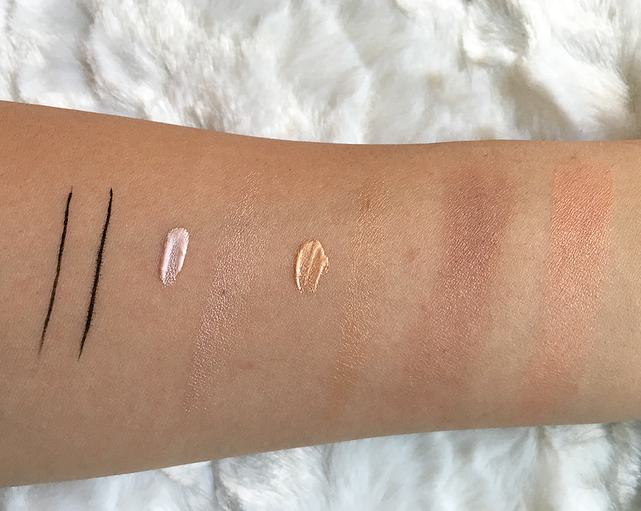 The Becca Shimmering Skin Perfector Pressed are my favorite highlighters of all time, and the liquid ones are good, too! I only have Opal and it blends seamlessly into the skin. 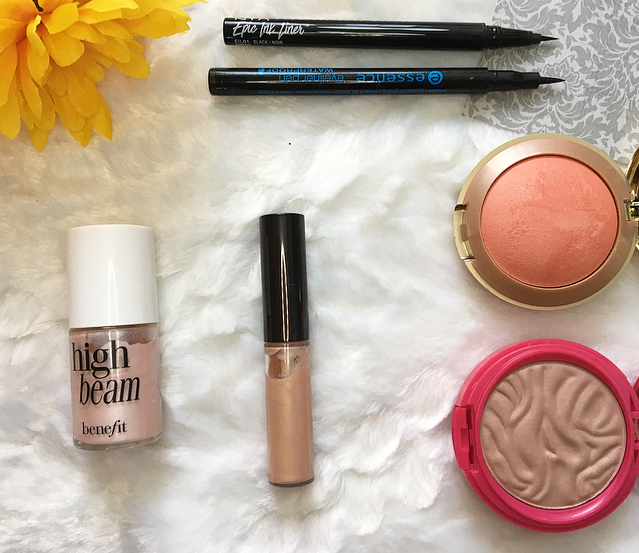 Depending on how much you use, it can look like a natural or a blinding highlight. Many people love the Butter Bronzers, including me, so I was eager to give their new blushes a try! They don't have many shades (though they have recently expanded it) but I chose Plum Rose, a very pale mauve shade. The formula is amazing, but this shade will only suit the palest of the pale. I had to really build it up just to swatch it below! If they got some brighter or more pigmented shades I would be over the moon about this drugstore line. In contrast, these Milani blushes are just as smooth and easy to blend, but it takes a lot less product to show up on the skin. These two shades are very different but the formulas are equally good. Milani has a better shade range in my opinion, which means they can suit a bigger variety of people, and they are cheaper! Have you tried any of these products? Would you repurchase them? 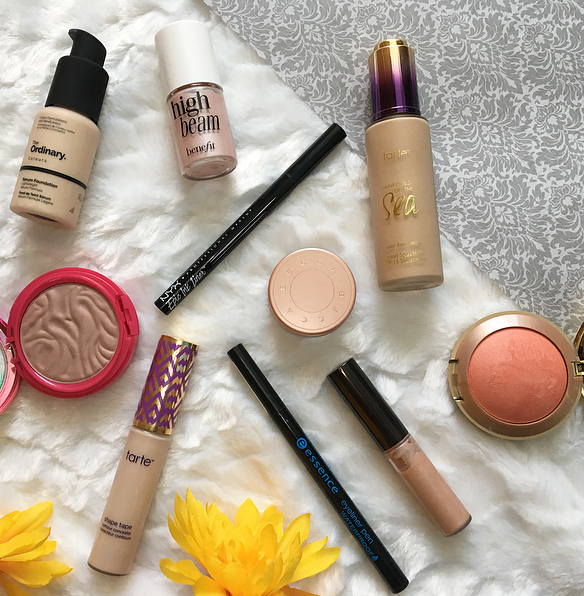 21 comments on "Five Products I Won't Repurchase (& What I Recommend Instead!) "
I still haven't ordered the Ordinary Serum foundation, I forgot all about it since it was out of stock all the time but I need to asap! I also have other items from the Ordinary that I want to try! Same as Yiota, whenever I checked the ordinary foundation, it was out of stock so I stopped chasing it. I would go for the full coverage rather than the serum one. I have the Milani blush, I love the soft formula and how it feels on the skin. I can hardly finish a product, so I don't know if I'd repurchase that or I'd just look for something else. This is such a great post Katie! I agree with you on the High Beam the color is fine for me but it doesn't settle right on my skin. I don't know why I bought the BECCA Brightening Corrector when my Backlight Color Corrector worked fine. I use it (the Backlight one) for my dark circles and I conceal it with Tarte Shape Tape. I got the wrong Shape Tape shade (Tan Sand) so I use that for blemishes and got the Medium shade for my dark circles. I freaking love the Shape Tape! It's so good, I want to do the same and get a slightly darker shade! Essence has great eyeliners those dip in Liquid ink, but I totally agree these pens dry way to quick. I actually love it that you wrote some alternatives instead of just writing down all bad products, nice! Really Great Products!! I love the all shade!!! I really love becca highlighters, and I love the look of shape tape! I still haven't tried it out yet but I would really love to, they look so so good!